New to Who – Where to Start with Doctor Who? Doctor Who is one of the most iconic sci-fi shows ever created. It follows the journey of the Doctor as he travels through time and space saving the earth, other planets, and sometimes the universe itself, over and over again. One week, he might be in medieval times with the Vikings, the next week he’ll be in the Elizabethan era, and the next one after that, you won’t be able to guess. The problem with getting into Doctor Who is that there is so much of it. Two years ago in 2013, the show had its 50th Anniversary Special. And even with some long breaks and shorter seasons here and there, 50 years’ worth of episodes is a very intimidating pile to dig through if you are just starting out. 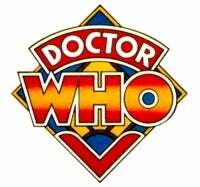 Classic Who ran from 1963–1989 on television, with many audio plays and books thrown in as well, and a movie sometime after 1989. New Who started in 2005, when the show was relaunched for a new audience. Instead of telling the story over again from the beginning, though, they started a new storyline and provided the information viewers needed in order to understand the context without having to know the show’s previous history of 40+ years. Since the show has been around for 50 years, it clearly doesn’t feature the same actors as the original series, but the Doctor as a character has been a constant throughout the whole show. How do they do that, you ask? They built in a handy little device for themselves — the Doctor, who is part of an alien race called the Time Lords, can regenerate. Whenever the Doctor is about to die (or, really, whenever the current actor wants to move on from the role), he just regenerates into a new person. This means that the Doctor can basically live forever, unless he is killed completely before he can start regenerating. Since the reboot in 2005, there have been five new Doctors, even though one was only around for the 50th Anniversary Special. And almost all of his sidekicks are humans, so when the time comes for their character arcs to conclude, they just become too old to travel, are killed, get separated from the Doctor for some other reason, or decide to stop traveling with him. This episode is a good example of how Doctor Who can be a goofy show, and how it also has a lot of heart. Now, there are plenty of weird aliens and weird things that go on in the story, but it provides a good balance between weird moments and some very emotional ones. The story is that of the Doctor trying to figure out how an alien ship from the future is reaching into the past on earth. While Doctor Who is often light and funny, this episode demonstrates how the show can balance out some very scary things within the lighter world that it often portrays. The episode doesn’t feature the Doctor much, but he shows up just enough and just at the right times to provide a good balance of levity within a scary situation. This episode shows what happens when people run into the problems that the Doctor faces. Doctor Who meets Vincent Van Gogh in an episode that is probably in the top two or three most emotional ones of the show. It will also introduce you to a new actor playing the Doctor, as compared to the other two I’ve listed, which feature the same actor. Vincent and the Doctor is a very heartwarming and tragic episode and shows a piece of history in a unique light. After watching these, if you’ve enjoyed them, you’ll be ready to dive into some of the cheesier episodes and will be able to handle the poorer special effects from early New Who, because you’ll know that better stuff is on the way. At that point, I’d recommend starting from the beginning of the new series. There is so much else that you can either answer for yourself when watching the show, or that you can ask me, and I’ll gladly try to answer. Doctor Who is a complex show with a lot of history to it, and above all, it’s a lot of fun!